Hi! So a couple days ago, i bought some succulents from Home Depot. I have identified most of them, but there are three that I don't know about. The first plant is Haworthia-like, it seems. 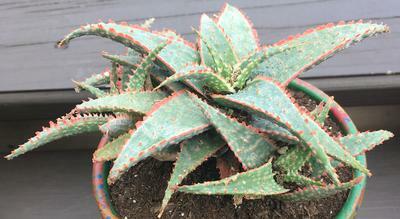 Its leaves are green with pinkish spikes all over the leaves and lining the edges. It has multiple rosettes coming out of the base of the main plant. Its leaves are pretty stiff. The second plant has thin and tall stems. It has smaller leaves with tannish-coppery colored ends. 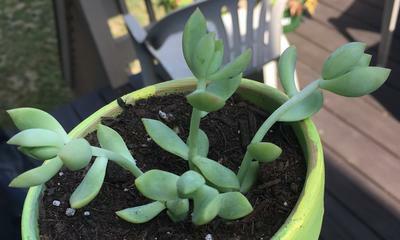 The leaves are spaced apart a good amount, but that may just be because the plant may be leggy. 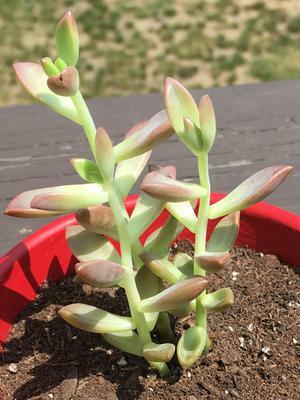 The third plant has tall and thin stems like the second one, but the leaves are all evenly light-green colored, except for the tips, which are very slightly a light tan. 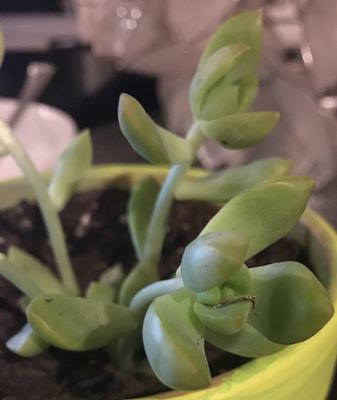 The leaves are also small and spaced out a good distance from each other on the stems like the second plant, but again, the plant could just be leggy. I've put the names of the ones I recognize in the caption of the plants picture. The spacing of the leaves is dependent on how much light they get - the fact that there is a lot of gap between the sets of leaves means that these plants need more light. More on that here; Succulent Care.